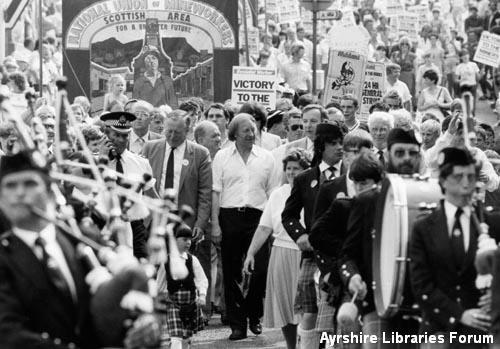 Miners and their families march and rally in Cumnock during the 1984-85 miners' strike. Centre is Arthur Scargill, union leader, beside him, before the policeman, is Eric Clark. George Foulkes stands behind the lady in front.